Many trauma sufferers turn to substance abuse as a coping mechanism, fortunately, there are a variety of healthy alternatives for dealing with traumatic events. Trauma sufferers tend to feel a range of emotions, from depression, guilt, and shame, to helplessness, shock, and denial. 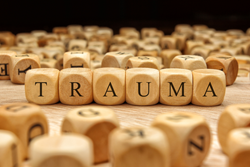 Those who have experienced traumatic events may suffer from a complex set of emotions. To deal with these feelings, many turn to unhealthy avenues, such as drug or alcohol abuse, as a coping mechanism. To avoid this pain and suffering, Serenity Recovery Center of Marne, Michigan, has released tools for healthy coping following a traumatic event. Trauma sufferers tend to feel a range of emotions, from depression, guilt, and shame, to helplessness, shock, and denial. Dealing with these feelings can seem overwhelming, and can lead individuals to believe that there is no hope to regain a happy, healthy life. Thus, many turn to drugs or alcohol to relieve these intense emotions. To combat this trend, the professionals at Serenity Recovery Center have issued helpful coping tools to prevent substance abuse in trauma sufferers. As a leading substance abuse treatment facility, Serenity Recovery has seen this form of self-medication lead to addiction. According to the facility, “[t]his, however, can only lead to additional pain and suffering for the affected individual and his or her family.” They released these helpful tips in an effort to prevent substance abuse after the experience of trauma. Though it may take time to recover after going through a traumatic event, there is hope for the future. With this guide, trauma sufferers will get the tools they need to begin their journey to recovery. By following these helpful tips, such as reaching out to other trauma survivors, these individuals can avoid use of unhealthy coping mechanisms. Studies suggest that up to 75% of individuals who have experienced a violent trauma develop some form of addiction. With the right tools and resources, trauma sufferers can prevent substance abuse issues and cope with the troubling event in a healthy manner. The experts at Serenity Recovery have seen many patients successfully overcome addiction after experiencing trauma. With these guidelines, however, trauma sufferers can learn to cope with their complex emotions without ever turning to drugs or alcohol. For more information, please visit the Serenity Recovery website, or call them at 1-855- 218-3775.